Sprung is dedicated to empowering our customers with total design flexibility. 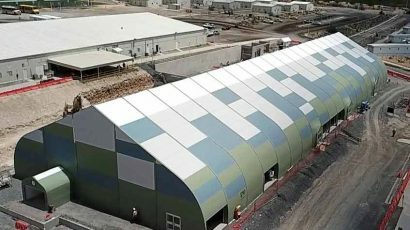 Did you know that Sprung’s relocatable shelters are constructed faster than conventional buildings and can be deployed anywhere? And they are still incredibly durable, even in hurricane zones! They’re also highly insulated and energy-efficient, despite the high ceilings and vast clear-span space within. If your space needs to expand, or you need to move often to better suit your business needs, Sprung is the perfect solution for you. A Sprung relocatable shelter can be altered and redeployed flawlessly to wherever you need it most. 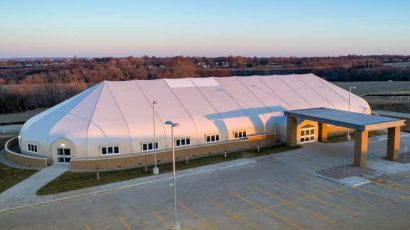 Learn more about our beautiful relocatable structures below. Multiple options for means the building can be repurposed for almost any application in any market sector. The modular design of Sprung’s relocatable structures allows you to easily add or remove modules. This allows you to increase or decrease the available square footage of your relocatable building to best suit current operational needs. 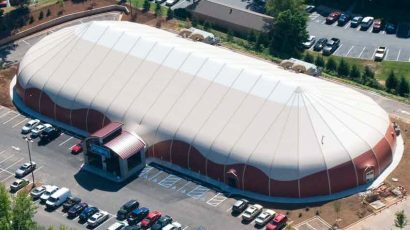 Sprung relocatable structures are engineered for permanence but also designed for easy relocation for multi-use applications. When appropriate soil conditions exist, temporary applications have absolutely zero subsurface foundation requirements for structures up to 160 feet wide. 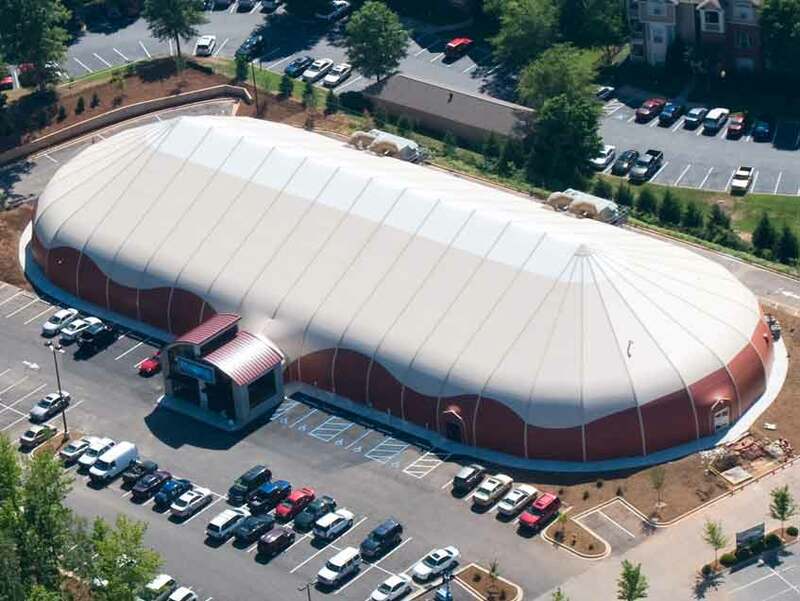 Our non-corroding aluminum substructure and ultra-durable, high-performance architectural membrane are built to last — we guarantee it. 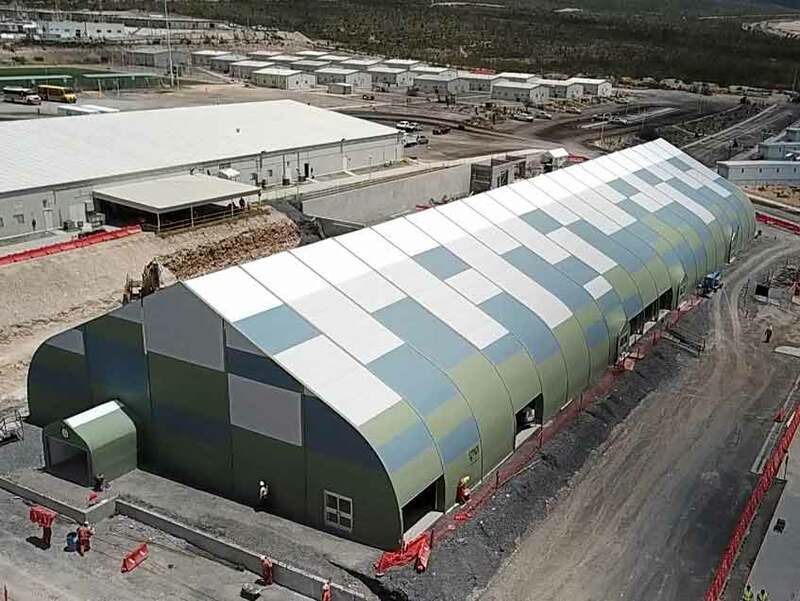 Sprung buildings have thrived in some of the world’s most extreme climates and survived severe weather events as high-performance relocatable shelters. Are you located in an area that’s prone to tropical storms? After Hurricane Katrina in 2005, the only building left standing in Buras, Louisiana was a Sprung relocatable structure. 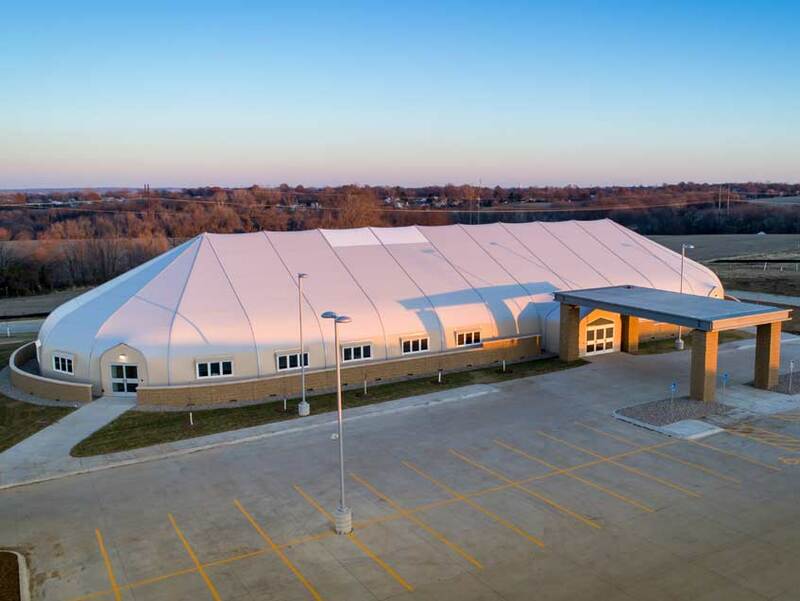 The interior space of our custom relocatable buildings is perfectly suited for people who value an open environment with bright and welcoming features. In addition to high ceilings, daylight panels and stylish windows and doors, our optional glazing walls (glass curtain walls) allow more natural light to penetrate than most relocatable buildings. Colourful graphics, including decorative accents and logos, are easy to apply to the Sprung tension membrane. 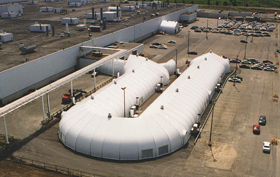 Sprung relocatable buildings are specifically designed and engineered for ease of movement. Structures can be disassembled, moved, and re-built or completely reconfigured.